This quiz is about the Great Depression during the 1930's, and its effects on the League of Nations. 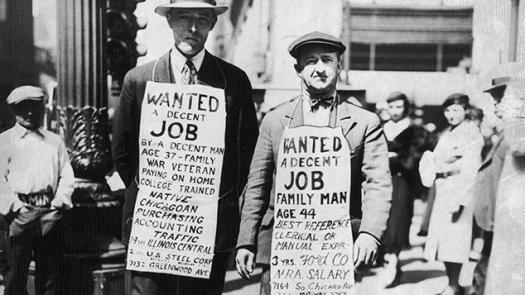 The timing of the Great Depression varied in countries, in some countries it started in early 1929 and lasted to the end of 1930, in some countries it lasted until the beginning of the World War 2. How did the Depression affect the rest of the world? The USA demanded the money that they had loaned out to the European countries back. It didn't, only the USA was affected by the Depression. The Germans started to burn money, releasing smoke into the atmosphere and causing global warming to become a major issue. The Depression caused more countries to trade with each other, causing international relations to improve tremendously. The Depression forced countries to start overproducing goods. What did some countries do in response to the Depression? Make industries employ more workers in an attempt to produce more products and increase profit. Charge high tariffs on imported products, causing international trade to decrease. Request that Germany pay each country reparations individually in order to pay for the damages it caused during WWI. What should the League have tried to do during the Depression? Discourage nations from becoming too protective of their economies and encourage world trade. Encourage nations to take products from Germany as repayment for the damages caused during WWI. Follow the Laissez-Faire economic policy and let the industries and the economy rise on its own. Increase the minimum wages of workers. What economic "weapon" did the League try to impose that did not work?